Death penalty abolition is a growing movement in the United States. Former US Supreme Court Justice John Paul Stevens is the most recent former high court member to speak out publicly against the death penalty. 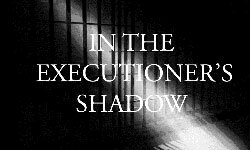 The links below are to Justice Stevens' New York Times book review of sociologist David Garland's The Peculiar Institution: America's Death Penalty in an Age of Abolition, as well as two commentary pieces in response to Justice Stevens' review.